Canberra is the majestically green capital city of Australia. With a population of 381,488 inhabitants, it is the largest inland city in the country. Canberra is masterfully laid out with the most exquisite architecture. Tourists attractions of this historic city, includes the National Gallery of Australia, Parliament House and the National Zoo and Aquarium. Cheap flights to Canberra are now available for a limited period of time, so get ready to be enchanted by the indigenous history of this city! Canberra is home of Canberra Airport (CBR), which is located a short 10-minute drive from the city centre. Locals thoroughly enjoy the energetic game of rugby. 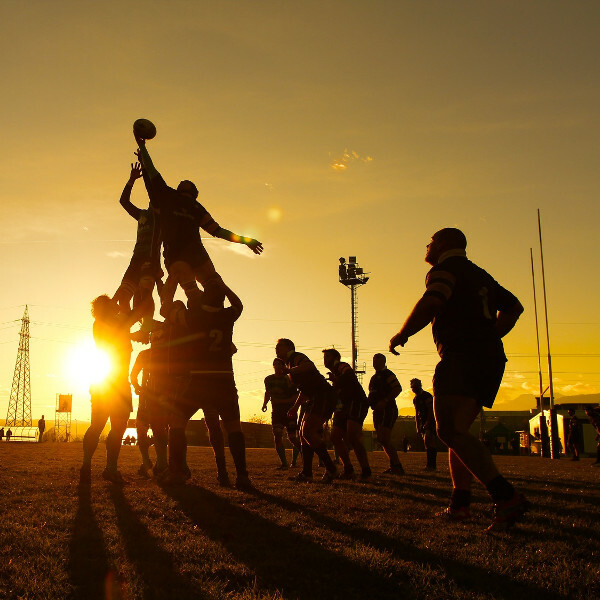 Home to the Brumbies and Canberra Raiders, the Canberra Stadium hosts spectacular home games for both teams. Learn about the important and diverse stories of the indigenous Australians. Curious visitors can explore the city’s culture, art and history through museums, galleries and archives. The artificial lake is in the centre of Canberra. Dragon boats, kayaks and sailing boats can be seen on the lake, as locals frequent the water throughout the day. 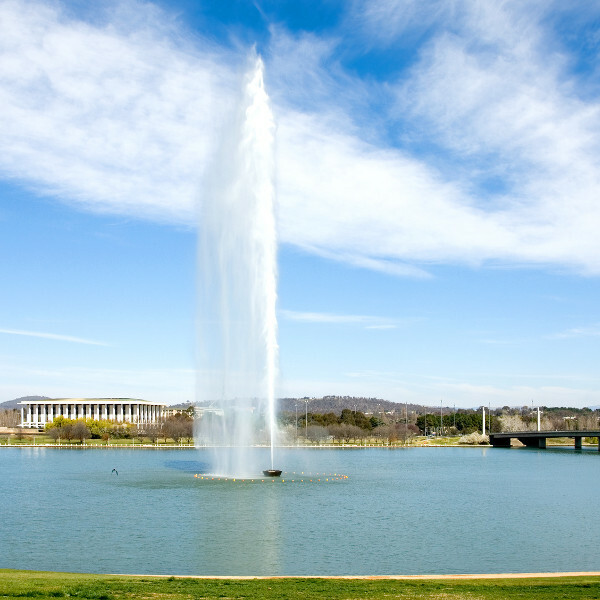 The ideal time to visit Canberra is during the spring months of September to November. This is the best time for roaming around the city. The Floriade Festival will delight your senses with its boastful display of more than a million bulbs and annuals that have been planted across the inner city parkland. Autumn (March to May) in Canberra is also a pleasant time; festivals include the Canberra Hot Air Balloon Festival and National Folk Festival. July is generally the coldest time of the year; extreme cold is not for the faint hearted. Nestled between the two main Australian cities of Sydney and Melbourne, the capital city is beautifully set in a hub of scenic hills and around an artificial lake – Lake Burley Griffin. The tranquil green landscapes make the city the perfect getaway. The city houses informative cultural institutions, and has an incredible arts community. Being the capital city, many institutions offer free admissions, which helps tremendously with your holiday budget. 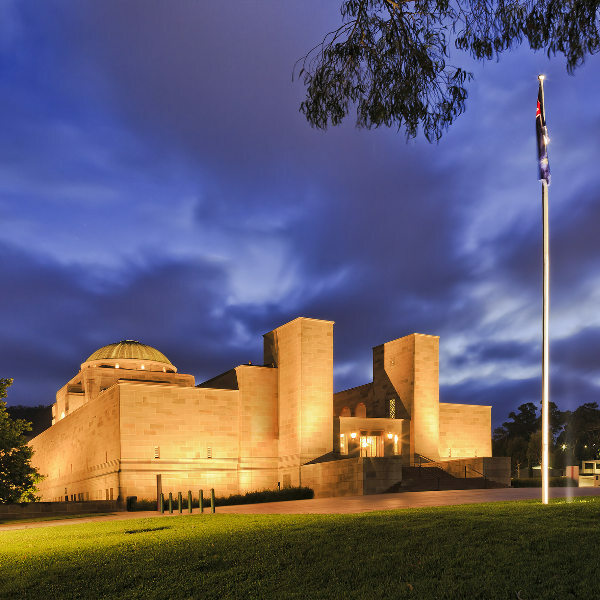 Canberra is an impeccable city for new discoveries, learning and having fun. From flower shows to water sports on a man-made lake, Canberra is sure to keep you in touch with nature, down under. Compare several airlines, and book your cheap flights to Canberra online at Travelstart! It is highly recommended that you purchase travel insurance, especially if you will be partaking in any adventure activities, such as extreme water sports and bushwalking. Canberra has world-class hospitals and a phenomenal standard of care. Travellers do not require any special immunisations or vaccinations. Protection against the harsh sun is highly recommended, as the Australian sun can be severe (and can burn your skin within 15-minutes of exposure). UV radiation levels are at their highest between 11am and 3pm. Apply a high-level water resistant sunscreen throughout the day. Drink plenty of water to avoid heat exhaustion and dehydration. Canberra has a low crime rate, and locals generally experience a safe lifestyle. However, with travelling to any major city, you should be cautious of your new surroundings. Keep your personal belongings safe. When going on a hike or bushwalk, tourists should take into account the length and difficulty of the walk. Always check the weather forecast for the day as extreme weather could result in an unfortunate incident. Stay on the track and away from cliff edges. It is best to go hiking or bushwalking with a group; avoid walking alone.